Do Canadian Teenage Boys Eat a lot of Sugar? In the third paragraph, we learn the headline actually refers to total sugar intake, which includes sugars in fruits, vegetables, and lactose in milk. What if we just look at added sugars? After the StatCan authors sorted through various issues of total sugars vs. added sugars, survey design, how to calculate sugar content of foods eaten etc. they concluded that 46% of daily sugars consumed by teenage boys were added sugars. 46% of 41 teaspoons….4 grams to a teaspoon…teaspoons of sugar in an ounce of soda…wait, I think I need algebra to figure this out. Ok, so is that a lot? An Institute of Medicine Report suggests that we should limit our intake of added sugars to less than 25% of our daily calories–higher than that and we start to displace too many nutrients in our diet. Sigh. So, now I have to figure out how many calories are in a gram of sugar. Or wait, should I use calories per teaspoon? Thankfully, the StatCan study authors figured it out for me. All age groups hover just above, at or below 25% daily calorie intake of sugars. And that’s total sugar intake. So if the IOM recommendation for added sugars intake is valid, Canadian teenage boys could upsize their sodas and still be under their daily sugar maximum. So I guess everything is ok up there in Canada. Of course there’s a sticky wicket. Not everybody agrees with the 25% of calories guideline for added sugar intake. In fact, in a controversial World Health Organization report, a recommendation was made to limit daily free sugar intake to 10% of calories. But wait, what the heck is a free sugar? 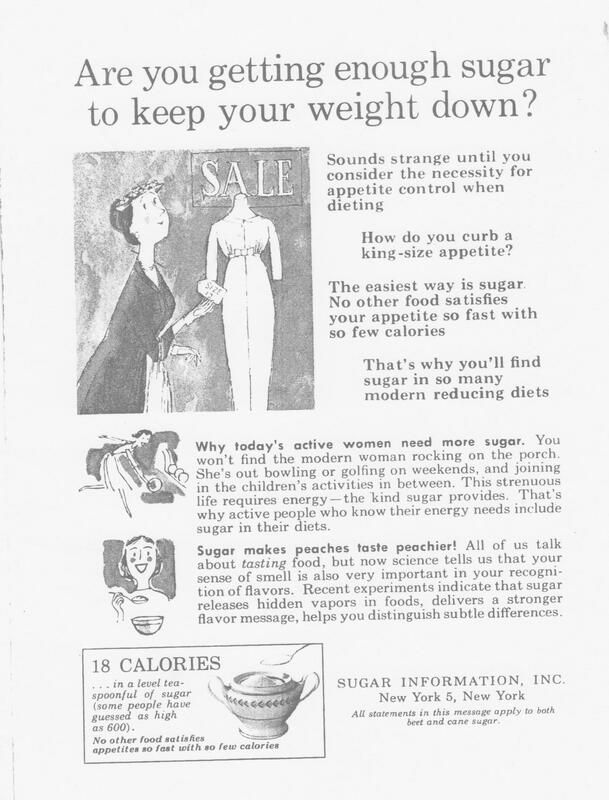 Well, according to the WHO, a free sugar is an added sugar. So, using the WHO numbers, are Canadians eating a lot of added sugar? I could probably figure it out, but…..does it really have to be this hard? Or is it hard for a reason?